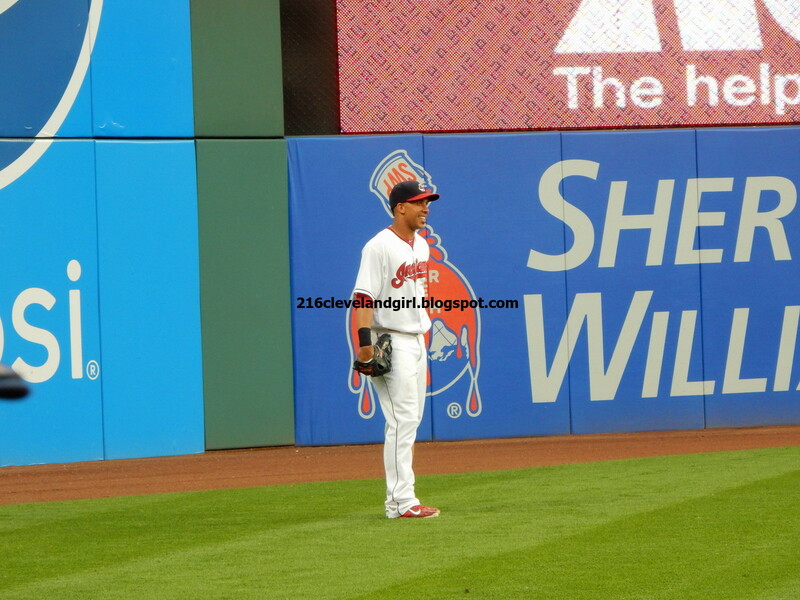 for the first time in his career, Michael Brantley threw out two baserunners in one game. the feat occurred on June 10, 2017, in the contest versus the Chicago White Sox at Progressive Field. the last Indians player to acquire two outfield assists in the same game was Rajai Davis, and he did it almost exactly one year ago, on June 9, 2016, as the left fielder at Safeco Field in Seattle against the Mariners. first outfield assist of the night. Michael's second assist of the game came in the top of the 5th inning with the Tribe trailing, 4-2. Abreu led it off against Indians reliever Nick Goody and on another 1-1 count, he hit another line drive to left field. once Michael got to the ball, he fired it in to Jason Kipnis at 2nd base as Abreu tried to stretch a single into a double. 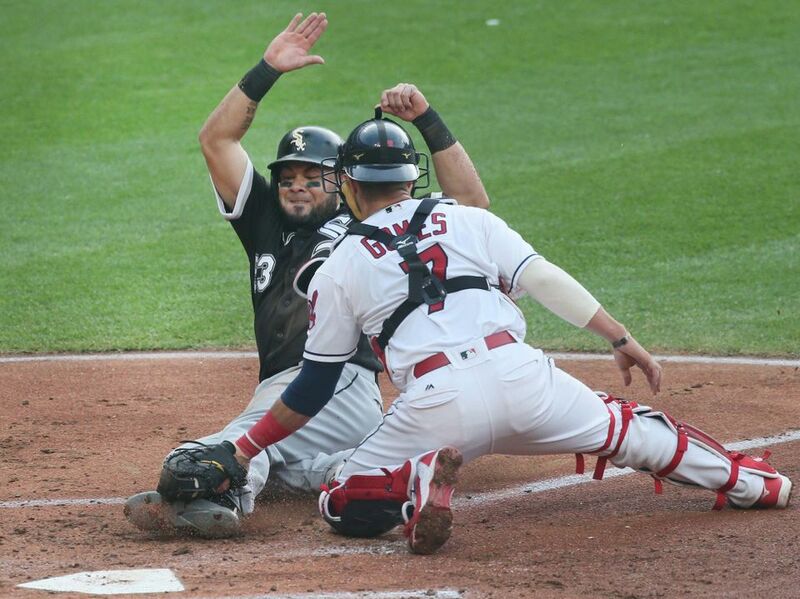 unfortunately for Abreu, he came off the bag during his slide and Kip was able to tag him out. Terry Francona was impressed with Michael's assists as well. from Jordan Bastian and Scott Merkin's co-authored postgame article on indians.com, the manager praised, "his throwing, the accuracy, the carry. i don't know if you would term it a 'gun,' like you see some guys. like Santana, that to me is a gun. but Brant is so consistent and the ball has so much good carry to it. and he's so accurate, that very few times you see him throw the ball and an infielder gets handcuffed. he just has such a nice feel for it." 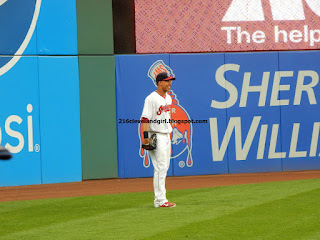 now let me "throw" this out there lol this is pure speculation on my part, but i believe Michael might have been extra motivated to try and throw a couple runners out due to the rare fielding error he committed in the top of the 2nd inning. with 1 out and the Tribe behind, 3-0, Leury Garcia skied Tomlin's 2-2 pitch to left field. Michael ran over towards the line and appeared to make the catch (while still in fair territory), but the ball popped out of his glove as he squeezed it, and then when he braced himself for the collision with the wall, he fell down. it was bizarre. by the time Michael got back on his feet, recovered the ball, and threw it in, Garcia had safely made it to 3rd base. he later came around to score and therefore, Michael's error proved costly. i'm sure he was upset with himself about it, but maybe the assists that followed helped make up for his defensive gaffe a bit. personally, i was very happy to be in Cleveland and witness his two assists achievement for myself. (i didn't get home until after 2 am though, so please excuse the lateness of this post.) however, when i am at a game, i do not live tweet it. i prefer to go off the grid while i'm at the ballpark in order to fully take advantage of and enjoy being there. otherwise, if i'm at home, i do tweet about all of Michael's plate appearances and defensive chances when he plays. so be sure to follow me on twitter @clevelandgirl23 for that information along with other news about Dr. Smooth. you can also subscribe to my mailing list to receive notifications whenever i publish a new blog. just enter your email address in the box underneath the Blog Archive sidebar over on the right side of this page.